Exercise in later life can add extra years to your life and add life to your years. As you get older it becomes even more important to remain active if you want to stay healthy and maintain your independence. 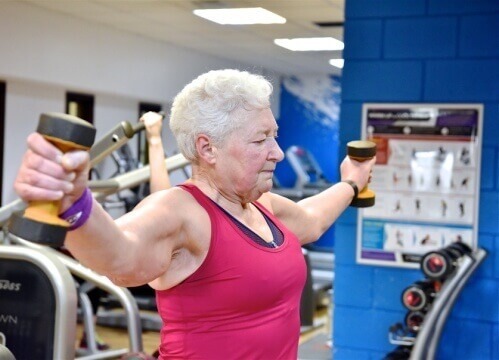 Exercise in later life can help boost the immune system, improve respiratory and cardiovascular function, help maintain strong bones, improve gastrointestinal function and help protect against chronic conditions. We are now offering low cost community sessions for the over 50s at Summerfields & Falaise commencing October 12th. Cost is just £4 per person (£3 leisure pass). If you're attending for the first time please call Falaise to arrange a free induction. Wed 27 September Functional Movement Screening (FMS).